Elevated comfort, a fresh exterior, enhanced storage and new tech make this year's Cherokee a stunning remake. Be prepared to turn some heads while you're driving it. Come along for the ride as we talk about this stunningly updated SUV, now available in North Dakota. 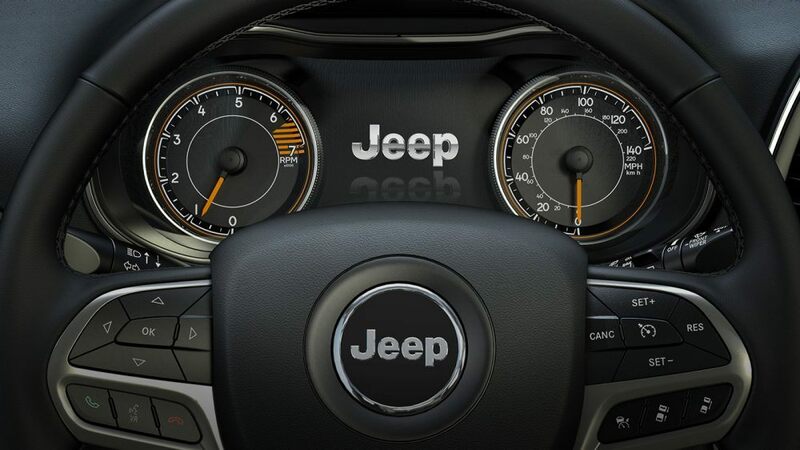 The iconic Jeep styling of the wheels and grille are here to stay. But subtle updates set this model apart. A revised front end tailgate show off the classic Jeep grille, with wider daytime running lamps and improved LED headlamps and fog lamps that make walking up to your Cherokee a delight, day or night. From behind, you will notice that the license plate is located higher on the Cherokee this time around. 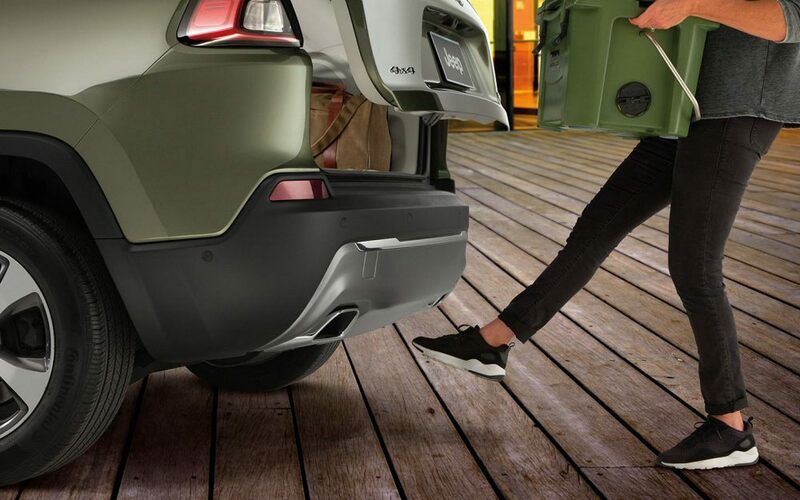 Its center lift gate location creates a more streamlined look. This year's model also has bigger front and rear windows. Which means you can enjoy the scenery with even more visibility than before! The 2019 Jeep Cherokee's interior is overhauled to be completely driver-centric, without sacrificing your passenger's comfort. From the available leather-wrapped steering wheel to ventilated seat options and standard dual-zone temperature control, you and your passengers just might be so cozy that you won't want to get out of your seats when you get to your destination! A special memory system option lets you program your seating preference so that when you sit in the driver's seat, all you have to do is press a button and it adjusts to your exact specifications. Up to 6 months of Apple Music is included with purchase, and it will sound great in your Cherokee with the enhanced, available Alpine Premium Sound system with 12-channel, 506-watt amplifier, 9 speakers, and an 8-inch subwoofer. Or enjoy the sounds of nature when you open up the optional CommandView Dual-Pane Panoramic Sunroof and soak up the sun. 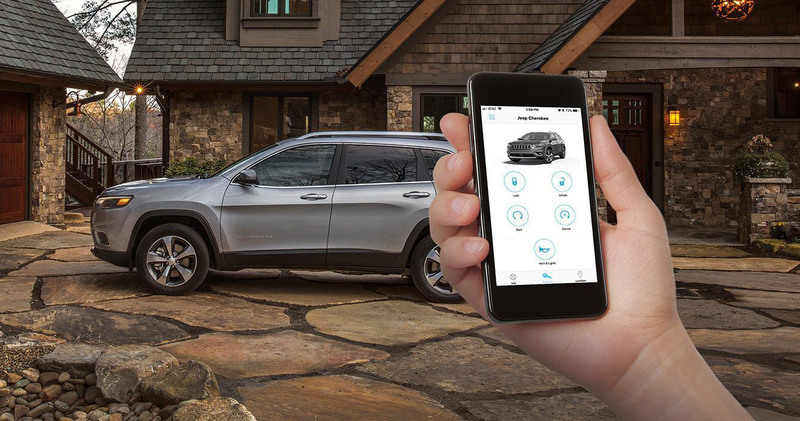 You don't need to worry about staying on top of things when you're in the new Cherokee. A centrally-located 8.4 inch touchscreen keeps you connected no matter where you are with UConnect driver-safe technology and other connectivity features. Like Apple CarPlay and Android Auto compatibility, which connects your smartphone with your car so that you can manage your messages, calls, and even listen to your favorite music or podcasts without taking your hands off the wheel. Because well-charged passengers are happy passengers, Cherokee pulled no stops with connectivity options. Driver-and passenger-media hubs give everyone in the vehicle USB ports, available Bluetooth connection, 12-volt charging capability, and aux ports. Engine options make the Cherokee even more appealing. A 2.4L I4 MultiAir Engine with an engine immobilizer, engine oil heat exchanger, and standard duty engine cooling comes standard in most trim levels. Other engine options available on some trim levels include: 2.0L I4 DOHC DI Turbo Engine, 3.2-Liter V6 24-Valve VVT Engine, and heavy-duty engine cooling. Fuel economy is up to 23 in city and up to 31 on highway. 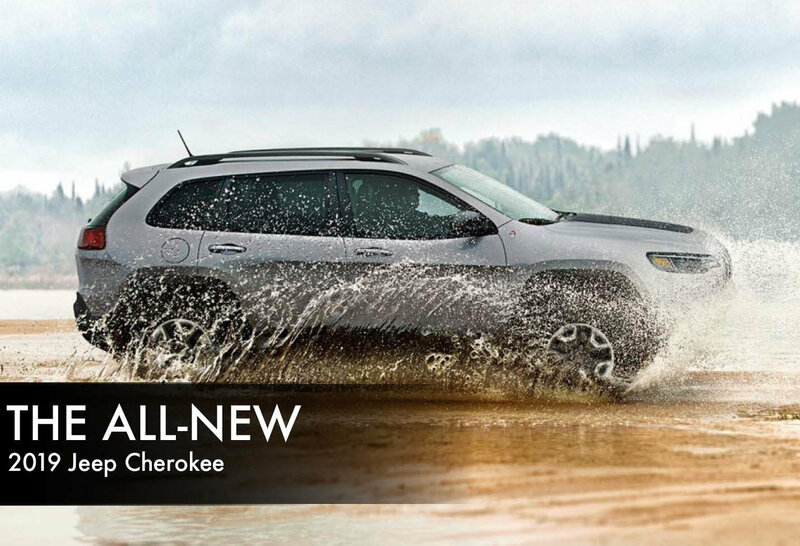 Now that you have all the details, take a look at our Cherokee options in Bismarck. Schedule a test drive if you like what you see! Our team is happy to answer any questions you have.